Build Work Schedules in Minutes. 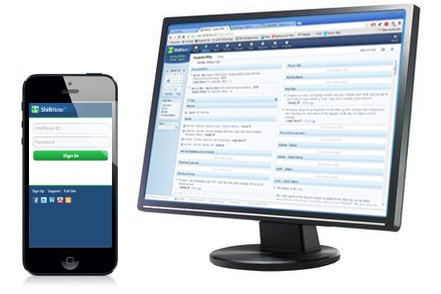 ShiftNote is an easy-to-use employee scheduling software and manager’s logbook. It replaces messy paper & files with a super simple online scheduling and staff communication program that will help you better manage your workforce. It reduces the time it takes to create, communicate and then manage employee schedules while centralizing your team's communication into one place. Your team will stay in the loop with group chats, messages and manager shift notes. You'll spend 75% less time on scheduling activities with ShiftNote employee schedule template. Send employees instant updates so they never have to ask when they work. The world's best brands use ShiftNote to save time, reduce costs and make happy employees. 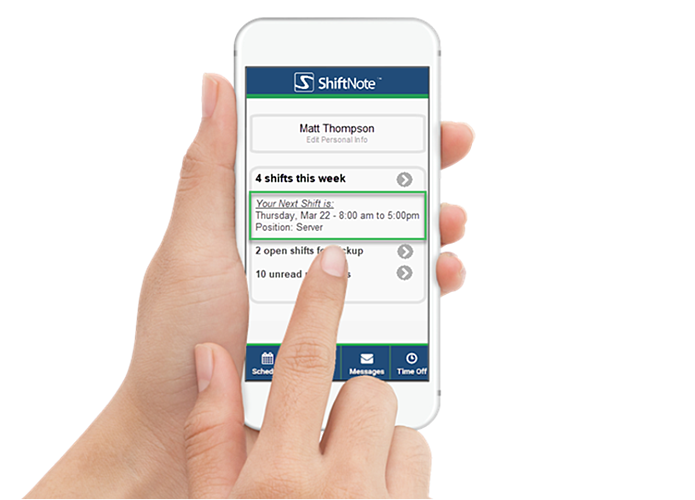 ShiftNote's online scheduler maker is incredibly easy-to-use and easy-to-learn. View the entire week’s schedule, and move shifts easily from person-to-person, day-to-day, until you are completely satisfied with the schedule. You can even save employee schedule templates, which make it even easier to get your work schedule started and finished. ShiftNote is a powerful scheduling app that does more than just save you time on scheduling. It also helps you improve communication, eliminate excuses, strengthen accountability among your staff, and grow your business. Make every shift amazing with our logbook and task management software. ShiftNote ensures compliance across all of your locations. We make shift change easy! Capture shift notes and document everything from employee performance to customer feedback.